The first Advanced Quiz is here - I apologise for it taking longer than I expected. This is a relatively straight forward quiz - just name the breed that you think each horse is (all are common, well known breeds). 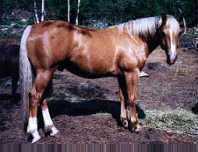 All horses are 'pure'(for the purposes of this quiz) whatever they are (ie: if you think one looks a bit like an arab then it is an arab, not a part arab). 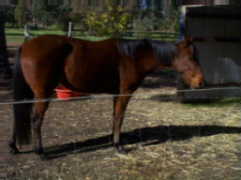 One clue: The mare in part 'B' has finer legs then many of her breed, and her tail probably gives her away. If you aren't sure, guess (with any of the horses) as answers that are very close are considered correct. Good luck! Thankyou to Starry, Ally, Wintec and King for modelling!